The 6th Annual Qira’ah Jalsa held on 07 May 2017, in Lenasia, was organized by the SANMWF and Al Tawhid Islamic Centre. The objective of the annual gathering is to perfect the recital of Quran with proper tajweed (rules of recitation) and makhaarij (pronunciation). The Quran is not just the holy book of the Muslims, rather a code for the Muslims to live a good, chaste, peaceful and rewarding life in obedience to the commandments of Allah, in this life and to gain salvation in the next. The annual Jalsa also aims to encourage the implementation, understanding and memorisation of the Quran in the daily lives of all. Guest speaker sister Nahid Farooqui stressed on the importance of understanding the Quran and not merely reading it. Females participants were grouped into different age categories and rendered beautiful recitals. 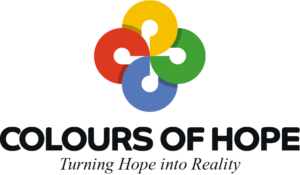 Colours of Hope organization gifted all 90 participants with new Qurans.